The Christmas feeling has set in – two weeks today we’ll be waking up and shouting “HE’S BEEN!”, opening our year’s supply of bath products and new socks and getting ready to eat our own weight in Christmas dinner. It really is the most wonderful time of the year. 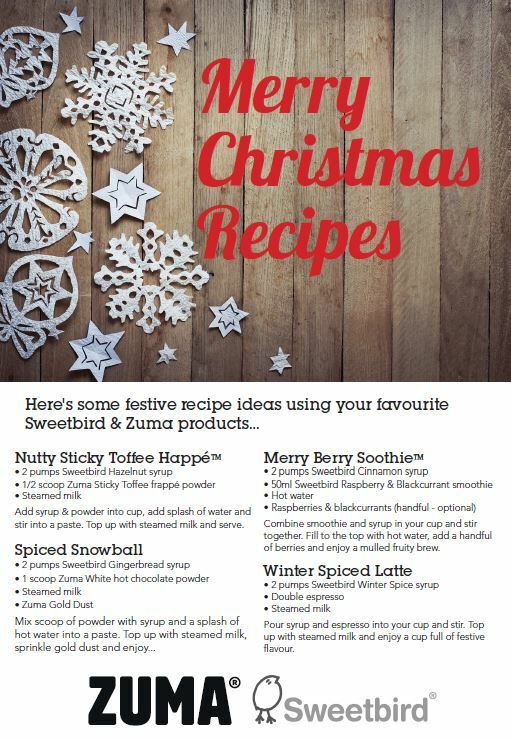 So, until then we’ve put together a few festive recipes from Sweetbird & Zuma that will keep your customers full of Christmas cheer, just click the image on the left you will be able to download the PDF.